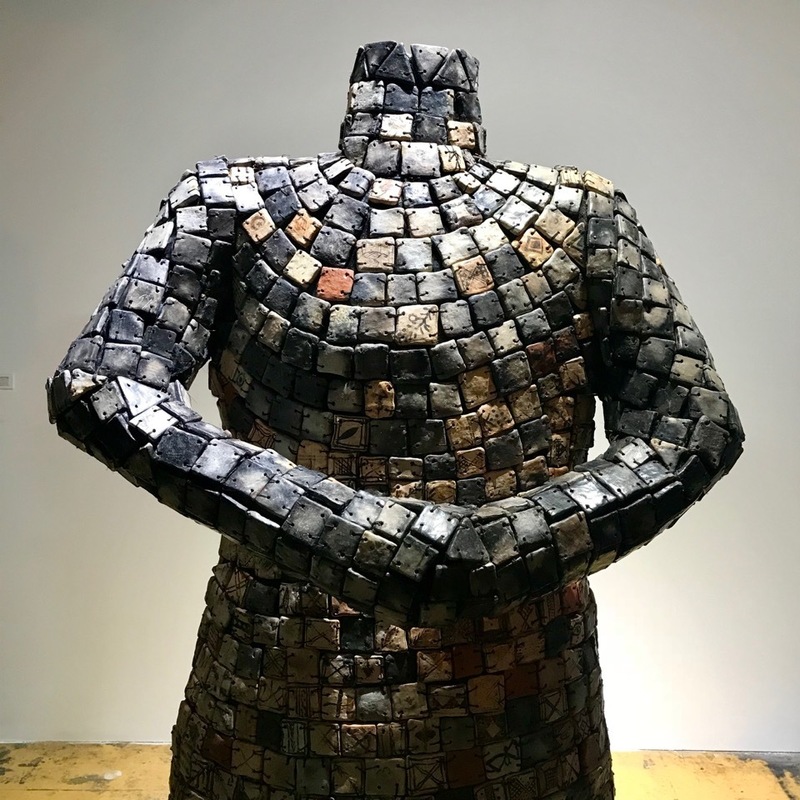 Sonia Kallel, Robe Idole de Sejnane, 2011, ceramics, iron alloy. AROUND LUNCHTIME ON THE LAST THURSDAY IN JUNE, I found myself at a table on a terrace with an absurdly beautiful view of the Mediterranean Sea. Behind me was the kind of low-slung corporate resort hotel that is typical of La Marsa, one of several suburban tourist towns east of the capital of Tunisia, Tunis. I scanned the horizon from left to right. A thin dark line separated the deep blue sky from a vast expanse of light sparkling turquoise. It was a ridiculous sight, a shimmering paradise, laughable in its right-there realness. 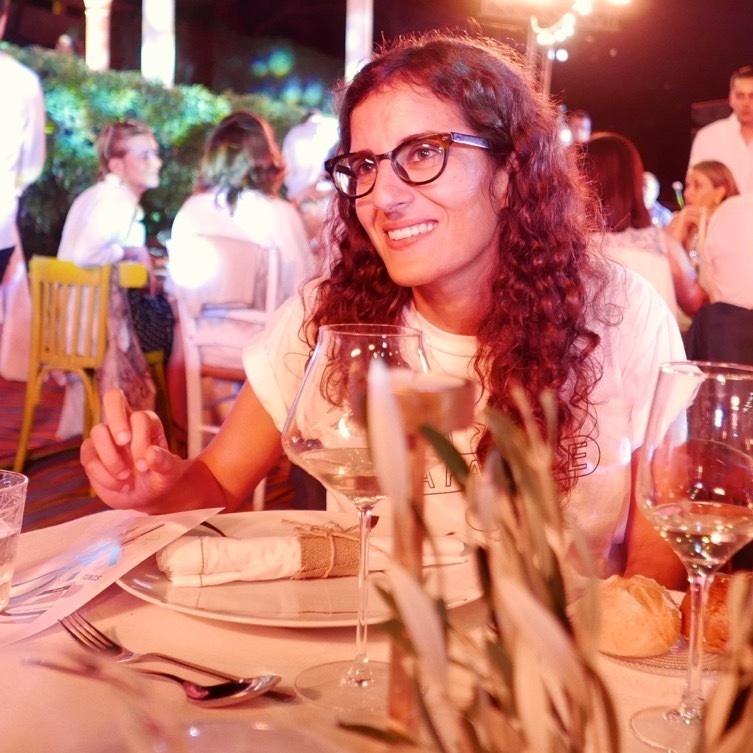 I was distractedly sharing a meal with about a dozen people, flanked by garrulous artists and affable writers and seated across from Lina Lazaar, the thirty-five-year-old founder of the annual arts festival Jaou Tunis. Lazaar began her career at Sotheby’s. 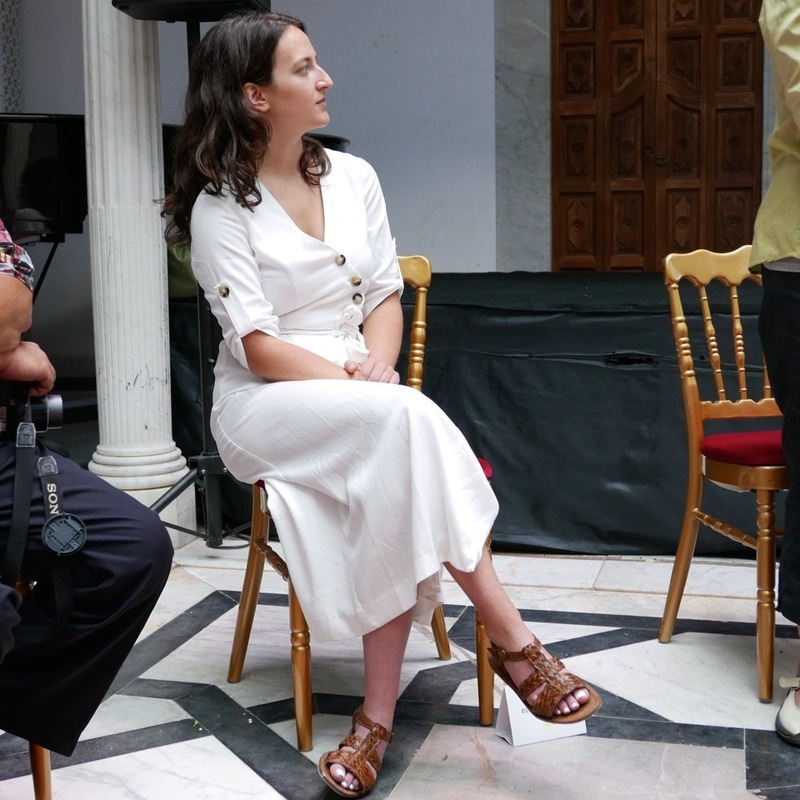 She is the current vice president of the Kamel Lazaar Foundation, a philanthropic concern established thirteen years ago by her father, a debonair collector and financier, who among other things might one day build an art center or museum in Tunis. Lazaar was, in effect, the reason we were here. But after curating the first four editions of Jaou Tunis herself, she had curiously just handed it over to others. The fifth edition, running through late July, consists of four spritely exhibitions—dedicated to water, fire, earth, and air—curated by four mightily impressive young women. The preliminaries, however, were a wreck. 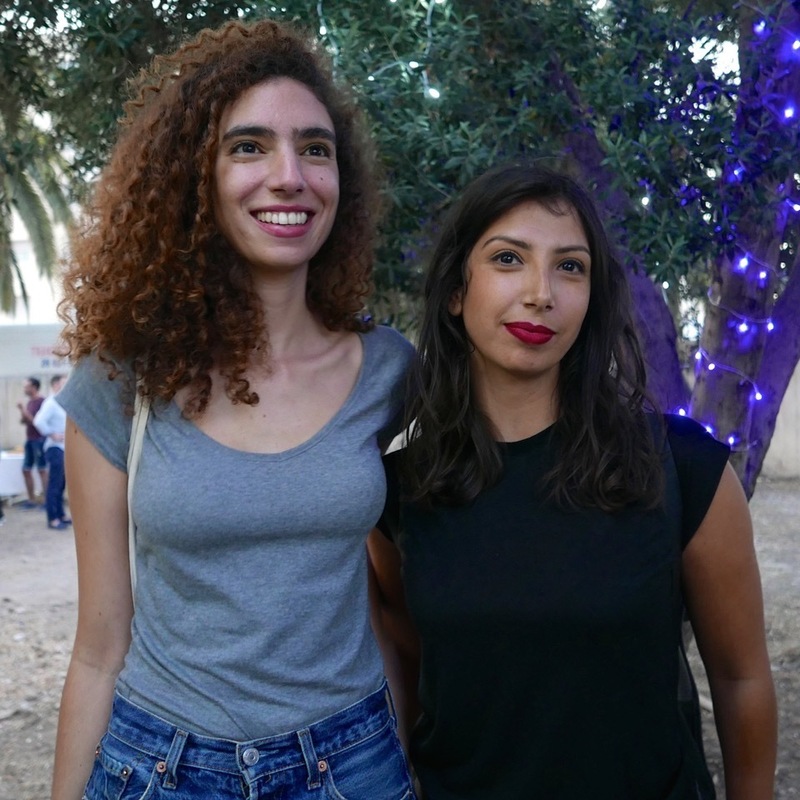 This year’s Jaou Tunis had gotten off to a terrible start the night before, opening with a performance beset by technical and logistical difficulties. Some of the problems stemmed from a straightforward excess of artistic ambition. 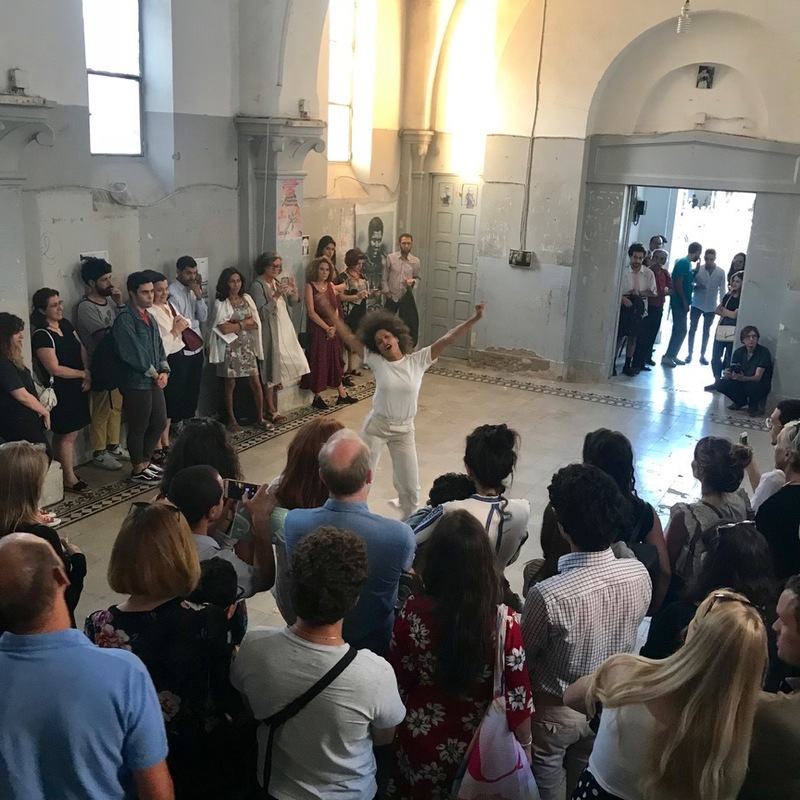 The actor and director Bahram Aloui, locally famous for playing Jesus on a Tunisian television series, had tried to pull off a complicated theater piece in one of the most political charged spaces in the country. L’Ancienne Bourse du Travail, the old labor exchange, is housed in a Brutalist concrete structure right off Avenue Habib Bourguiba, the gorgeous tree-lined boulevard of sidewalk cafés and booksellers running through downtown Tunis, where protesters had captured the most hopeful parts of the global imagination in early 2011, at the start of the Arab Spring. Until it was shuttered in 2014, the Bourse du Travail was the preeminent place where generations of political parties and trade syndicates (including the ones who won the Nobel Peace Prize, in 2015, for negotiating Tunisia off the brink of an all but certain civil war) had formulated their programs for how the world should be (even the current president, Beji Caid Essebsi, who has been in government more or less continually since the country’s independence from France in 1956, delivered his first campaign speech in the Bourse du Travail). 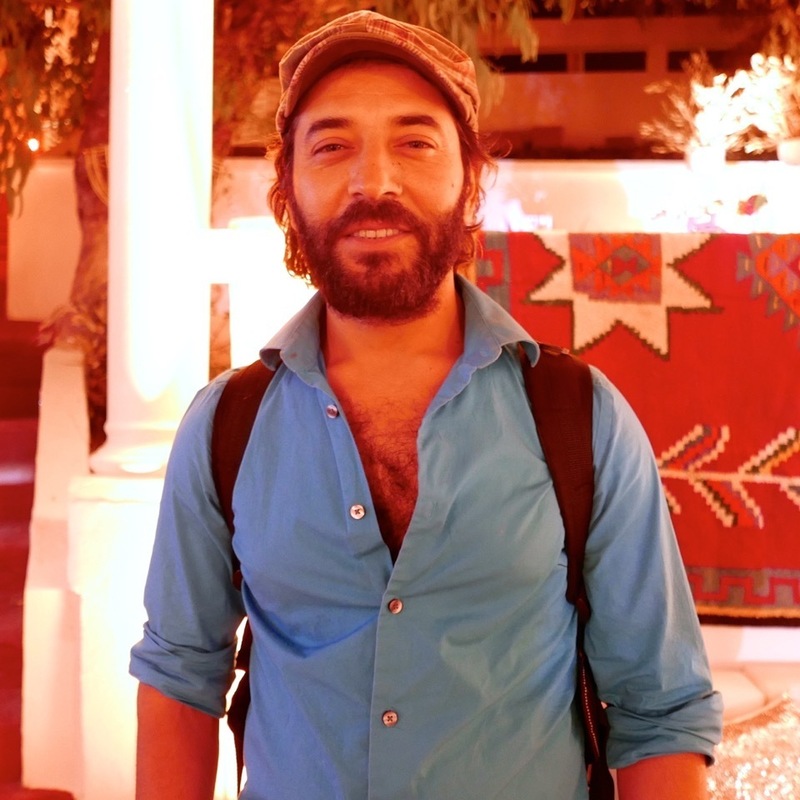 Actor and director Barham Aloui. The conversation turned to notions of compromise, which is generally, in the wider region, viewed as Tunisia’s strength, the weakness of its army a saving grace. This was interesting in context, because artists and artworks, from ancient to contemporary, have so often fallen into the scary chasms between opposite forces in the country: secular and religious, modern and traditional, urban and rural, Eastern and Western, the old entrenched elite and the vast mass of young people who are unemployed, overeducated, and angry. 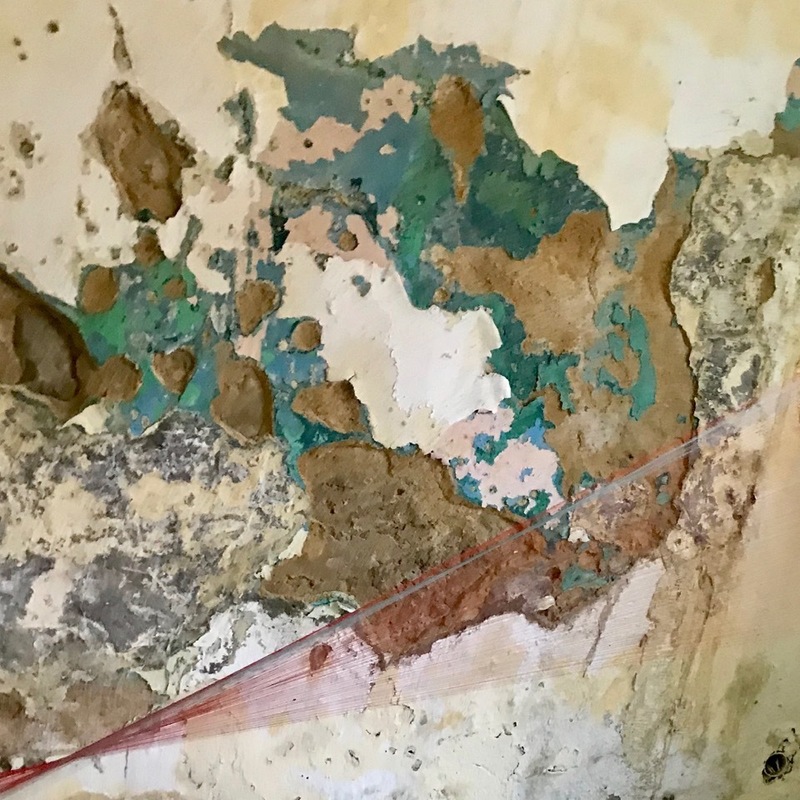 In the years since the revolution, which ousted Tunisia’s staggeringly corrupt dictator Zine El Abidine Ben Ali, emboldened religious fanatics have shut down an art fair, attacked a gallery, and destroyed numerous artworks. Two leftist politicians have been assassinated. Twenty-one people, most of them tourists, were gunned down at the entrance to the marvelous Bardo Museum. Nearly forty people were killed on a beach in the coastal city of Sousse. 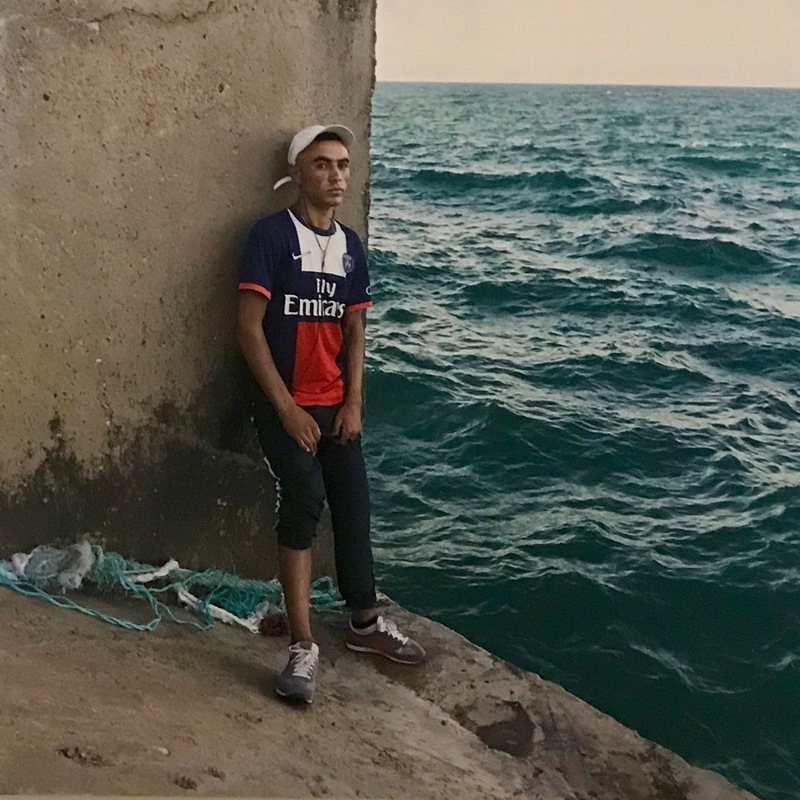 Splinter factions of ISIS and Al-Qaeda have dug into lawless border regions where looting and smuggling are the only economic activities of note. Some three thousand Tunisians have left to fight for jihadist groups in Syria. The day before I arrived, a shepherd was murdered near the Algerian frontier—militants had bashed in his skull and sliced off his nose. This in an area where kidnappings and beheadings have become a common fate for suspected informants. There was so much to think about that my attention drifted to the sea. Then I snapped back when the tone of the conversation abruptly changed. Two artists at the table were hunched over their phones, alternately murmuring and reading alarming text messages out loud. I caught the words trouble and interrogation, thirsty and starving in pairs. “Two of our artists have potentially been arrested,” Lazaar said suddenly, looking up from her own phone. My eyebrows jumped. “Potentially,” she stressed. Turning to the artists’ friends at the table, she asked: “Were they smoking up?” The answer was no. “Were they making out?” Again, the answer was no. Lazaar, who is tall like her dad, rose slowly from her chair, as if levitating into problem-solving mode. By the time everyone regrouped later that evening—for the opening of Myriam Ben Salah’s strong and deceptively straightforward show “Water Pressure,” which elegantly slips the works of eight very different artists into a fabulous old church that’s been repurposed as a police station and then a boxing gym—the two potentially arrested artists had been released. It turned out, from an idle interest in architecture, they had inadvertently taken a picture of the Tunisian interior ministry, without realizing what it was. For that, they were detained and questioned for hours. They were also made to explain and justify every single image on their phones (go on and calculate how much that would cost you, in time lost and intimacies exposed). The artists were fine but they were rattled. And the fact is that in certain parts of the world, incidents like this are almost normal. For events like Jaou Tunis they are always possible. They are one kind of trouble to get into—because artists dig into things. They take pictures of subjects that are forbidden, ask questions that people would often rather not answer, and live any number of lifestyles that conservatives, whether religious or otherwise, would mostly rather not see. 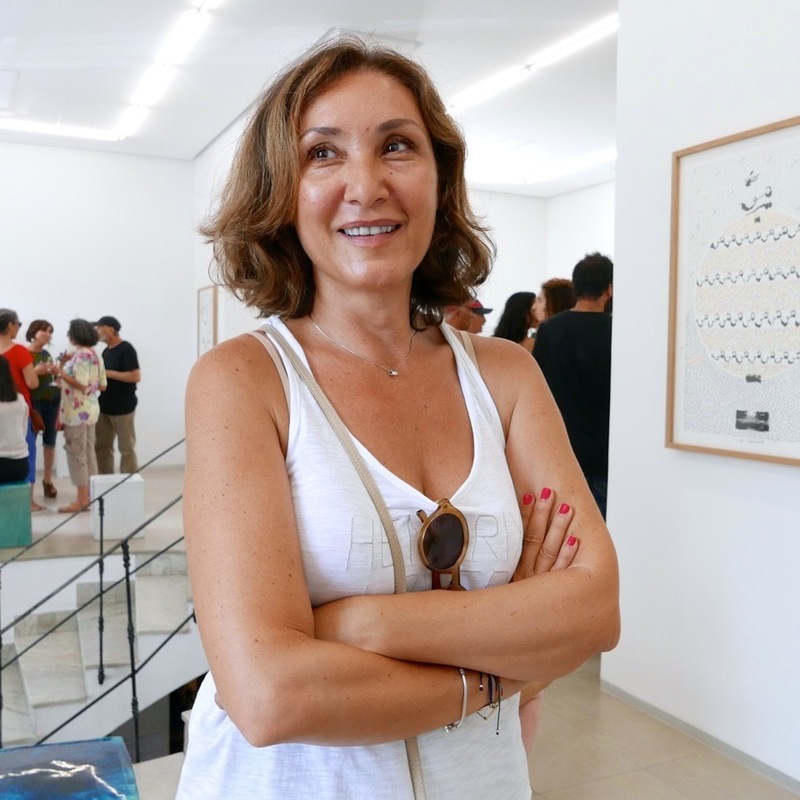 Jaou Tunis Founder and Chief Curator Lina Lazaar. All photos: Kaelen Wilson-Goldie. On Friday, I spent the morning having my mind blown by the Roman and Byzantine mosaics in the Bardo Museum, which is said to house the largest collection of them anywhere in the world, including rare depictions of Virgil, Ulysses resisting the sirens, and Venus crowning herself before an audience of six dancing dwarves. In the evening, I headed to the opening of Amel Ben Attia’s exhibition, named “J’emporterai le feu” (I Will Take the Fire) after a Jean Cocteau quotation. 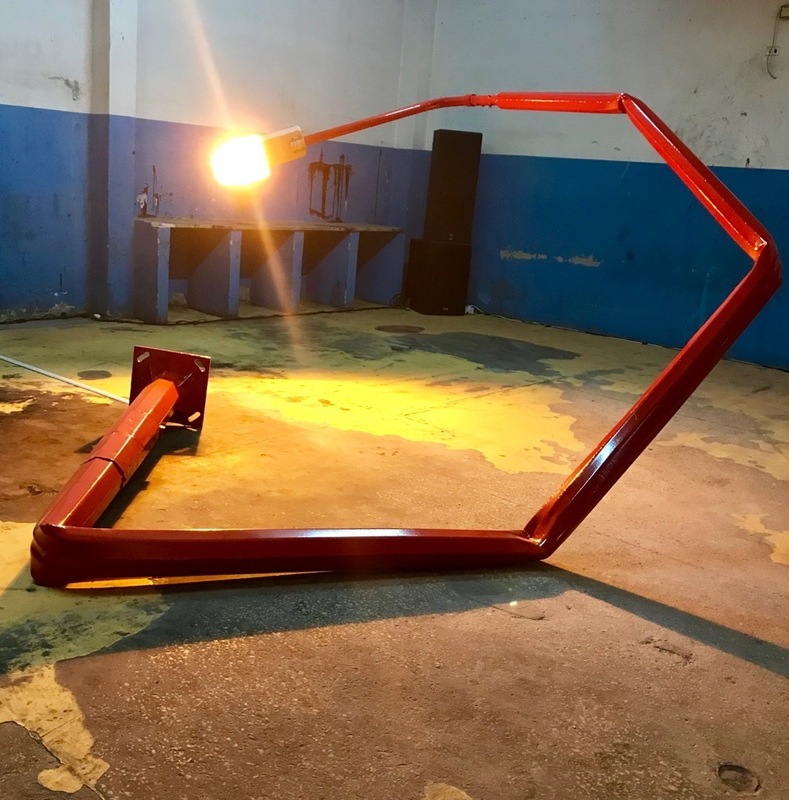 Installed in the warehouse of an abandoned printing press near the neighborhood of Montplasir, Ben Attia’s show, like Ben Salah’s, operates on both literal and interpretive levels. Mehdi-Georges Lahlou’s bust of himself as a Roman god balancing an enormous incense burner on his head lends the space an actual smell of fire and ash. Monira Al Qadiri’s video Behind the Sun, 2013, pairs old VHS footage of Kuwait’s oil fields ablaze after the Iraqi invasion with quotations from Islamic television shows, using the apocalyptic language of old Arabic poetry to describe natural phenomena. The effect is sublime. 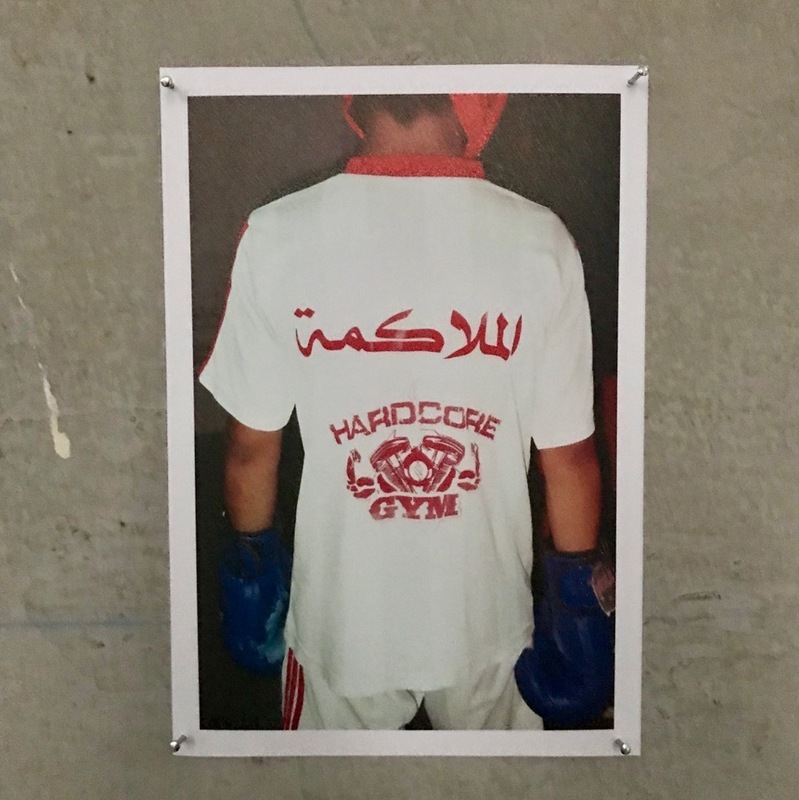 Ben Attia also follows the fire theme elsewhere, punctuating her show with works delving into the troubles of family life, such as Zineb Sedira’s inexhaustible Mother Tongue, 2002, about the failures of language between mothers and daughters, and Ymane Fakhir’s evocative An_nissa, 2017, about one woman’s divorce and disinheritance. Ben Attia told me she had been thinking about Essebsi’s proposals for gender equity laws in Tunisia (although the country has the best legal system in the Arab world for women’s rights, it still reverts to religion on several matters, including inheritance, which, according to the Qur’an, gives a daughter half the share of a son). For Ben Attia, fire extends from the flames of immolation to “resistance, feminism, transmission, and passion.” This gives her exhibition a magical, alchemical feel. It also filled my head with stories, most notably the one embodied by the dancer Asmahan Tlig, whose mesmerizing collaboration with the musician Haythem Achour, aka Ogra, enacted the last fifteen minutes in the life of Habiba Msika, a famous Tunisian dancer from the 1920s who was burned to death by a jealous lover. I left with a roomful of things to learn, though I puzzled over what it meant, exactly, to know that immolation extended much further back in Tunisian history than Mohamed Bouazizi’s decision to set himself alight in late 2010. Yesmine Ben Khelil, Une Jeunesse Grave et Attentive (detail), 2018, mixed media. 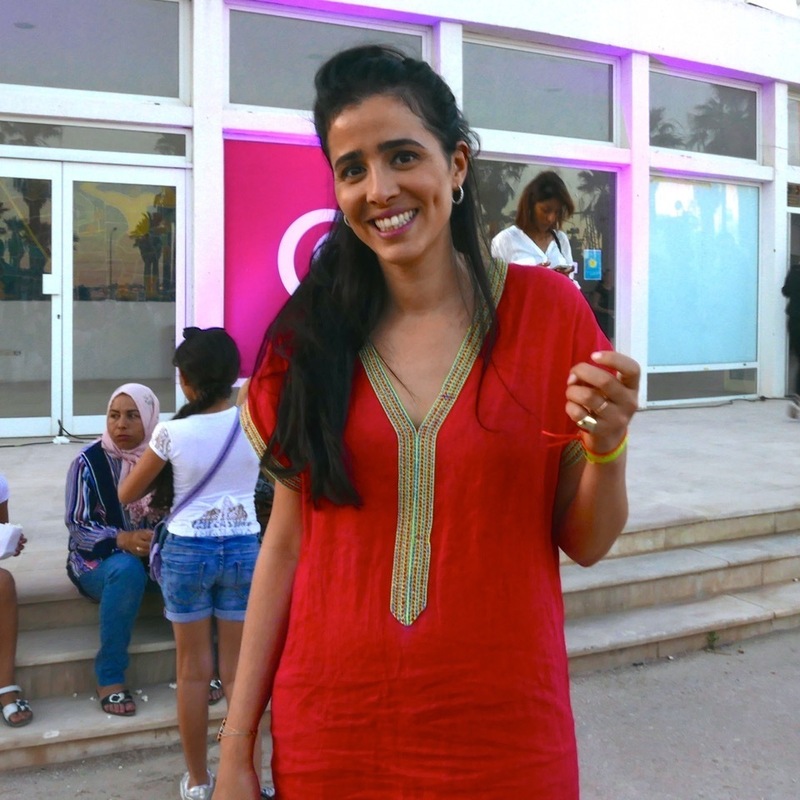 On Saturday, I stomped around the ruins of Carthage before winding into the medina for Khadija Hamdi-Soussi’s earth and Aziza Harmel’s air. 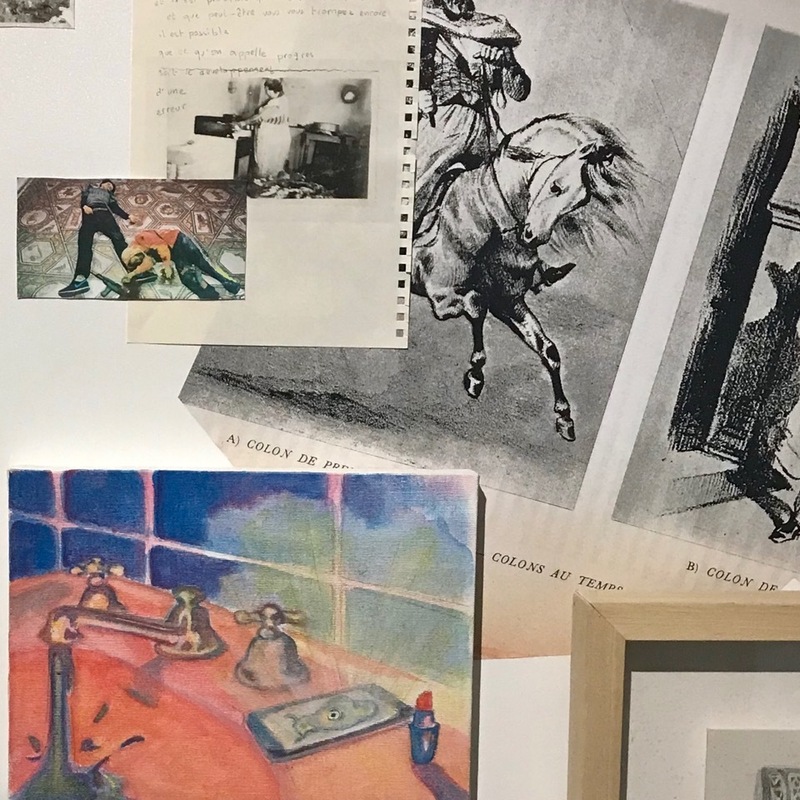 The former, inspired at least in part by André Malraux’s musée imaginaire, displays a fine collection of contemporary artworks, all of them toying more or less directly with archeological themes, around the courtyard of a neo-Moorish mausoleum. 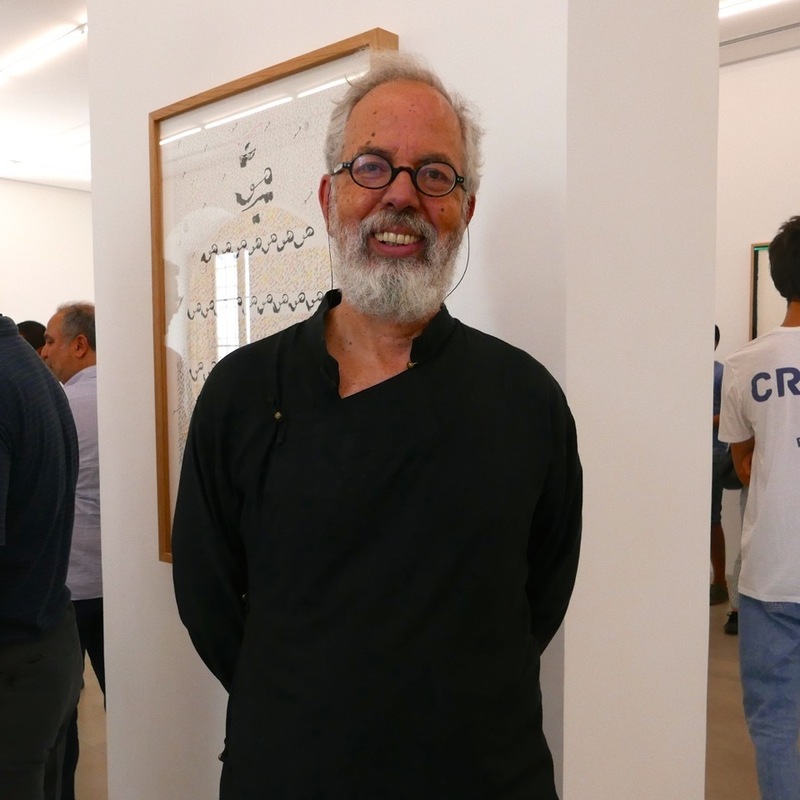 Among other things, it delivered, for me, a major piece of good news: the Egyptian artist Tarek Zaki has returned to artmaking after a break of several years. Harmel’s show, meanwhile, introduced me to the fascinating work of Yesmine Ben Khelil, who creates wonderfully tactile, multifaceted installations from found materials and an honest belief in the power of superheroes and science fiction, and with tremendous agility in tackling subjects like prostitution and unemployment in ways more promising than polemical. I can’t speak for past editions of Jaou Tunis, but this one seems to have expanded in several auspicious directions at once. It also benefits from the diversity of experiences among its four curators. 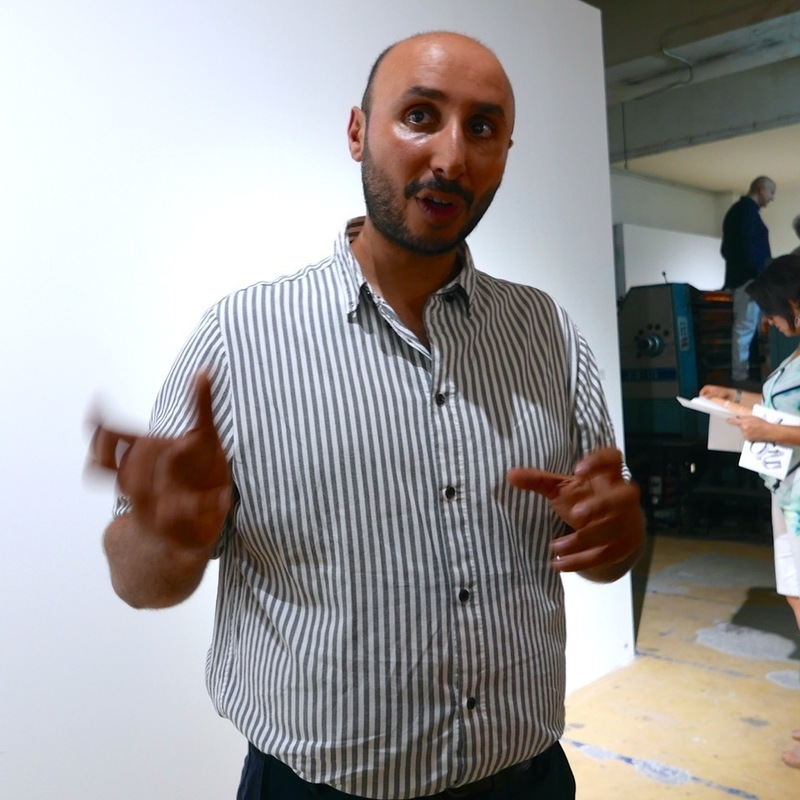 Ben Salah grew up in Tunis but had never done a project here. 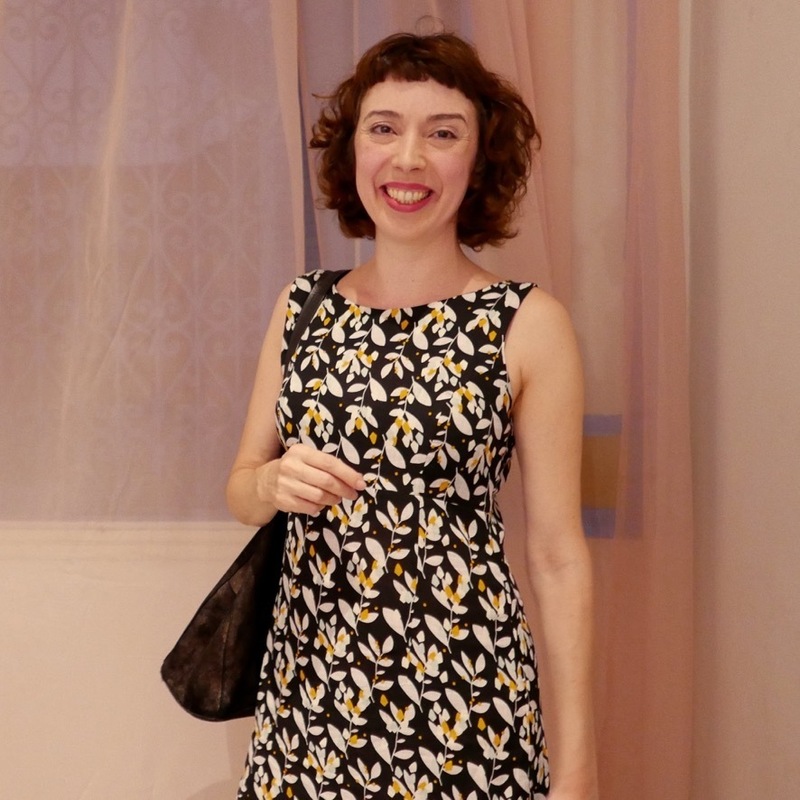 Ben Attia I had known as an artist and the author of a tough little video on the revolution, but fire is her first curated exhibition, an accomplished debut. Hamdi-Soussi, a scholar of Islamic art, was involved in a short-lived but consequential project known as Carthage Contemporary (people still talk about it). 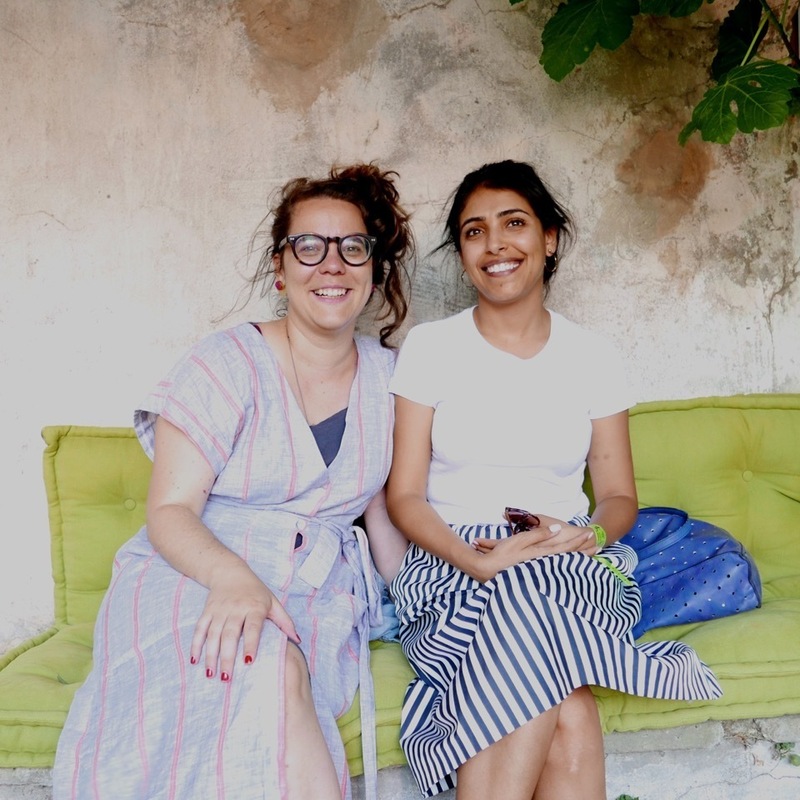 Harmel was part of the team organizing Adam Szymczyk’s Documenta14, which shows in both her choice of artists (Naeem Mohaiemen, Narimane Mari) and her curatorial ambition (vast but reachable). 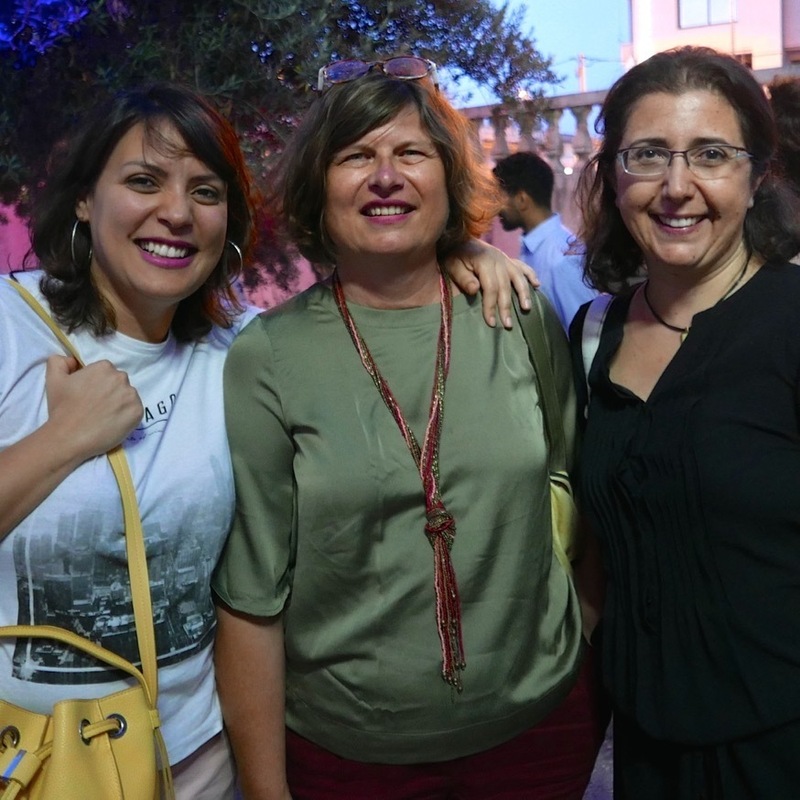 I also couldn’t help but notice how many of the women involved in Jaou Tunis had young children (Lazaar, for example, has twin boys and a four-month-old) and weren’t remotely afraid of parenting in public. This is no small feat at a time when European politicians still make international news by bringing their children to work, and in the North American art world, the motherhood penalty is often much worse. 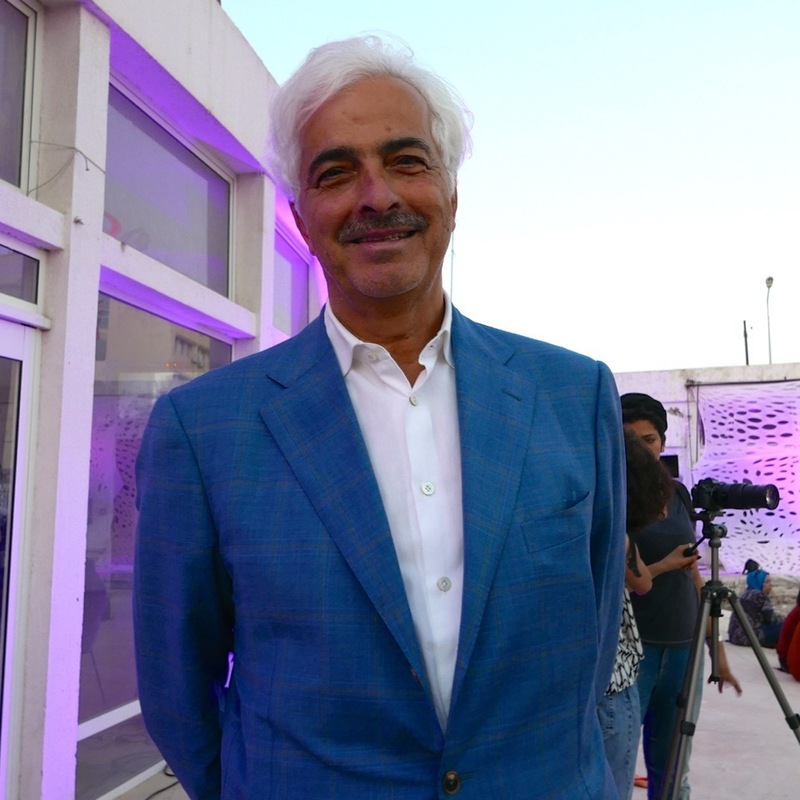 Kamel Lazaar of the Kamel Lazaar Foundation. Curator Myriam Ben Salah with dancer and choreographer Ligia Lewis. 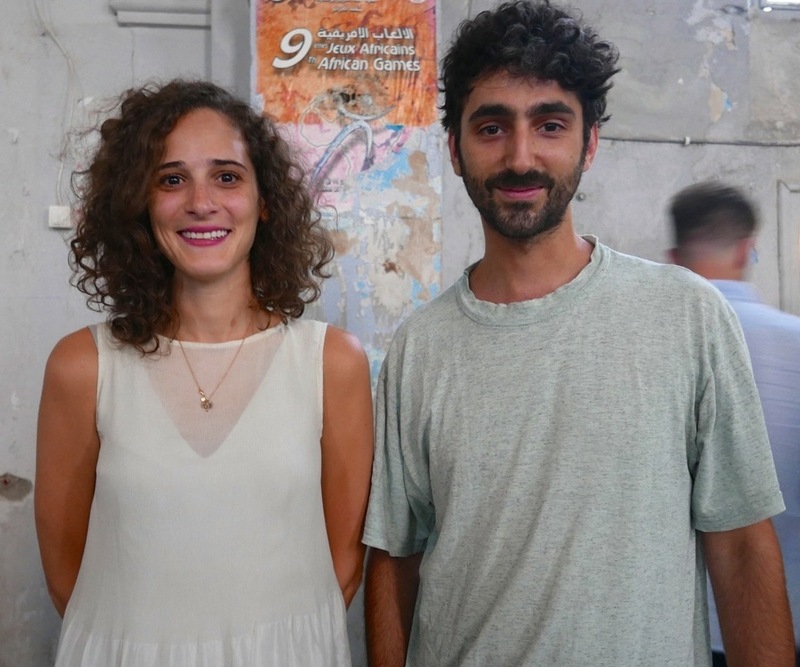 Artists Ayla Hibri and Alex Ayed. DJ and composer Jana Saleh. 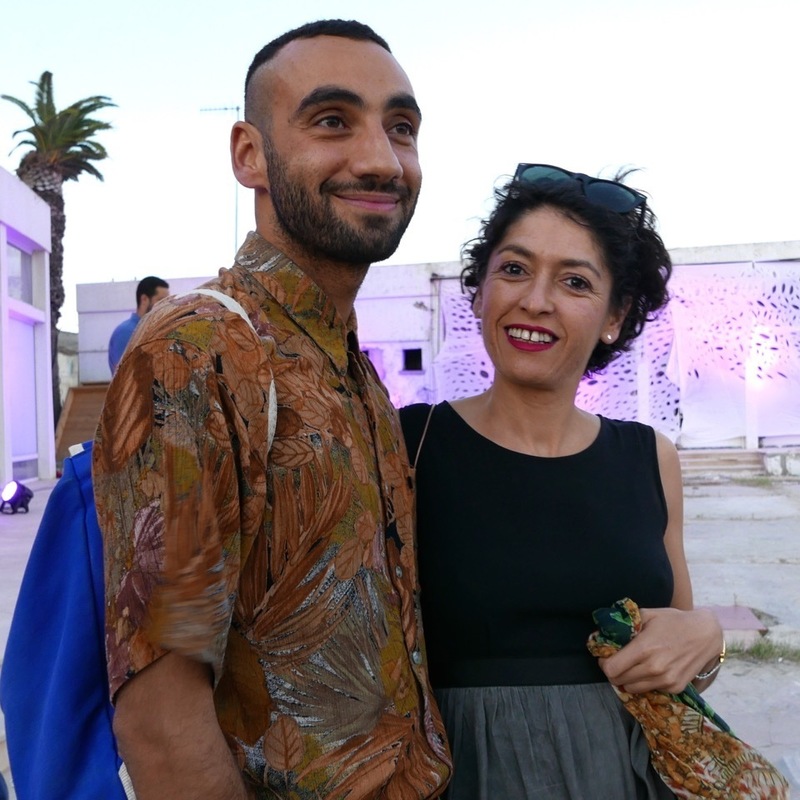 Artist Zineb Sedira with curator Amel Ben Attia and artist Ymane Fakhir. Artist Mehdi-Georges Lahlou with curator Yasmina Reggad. 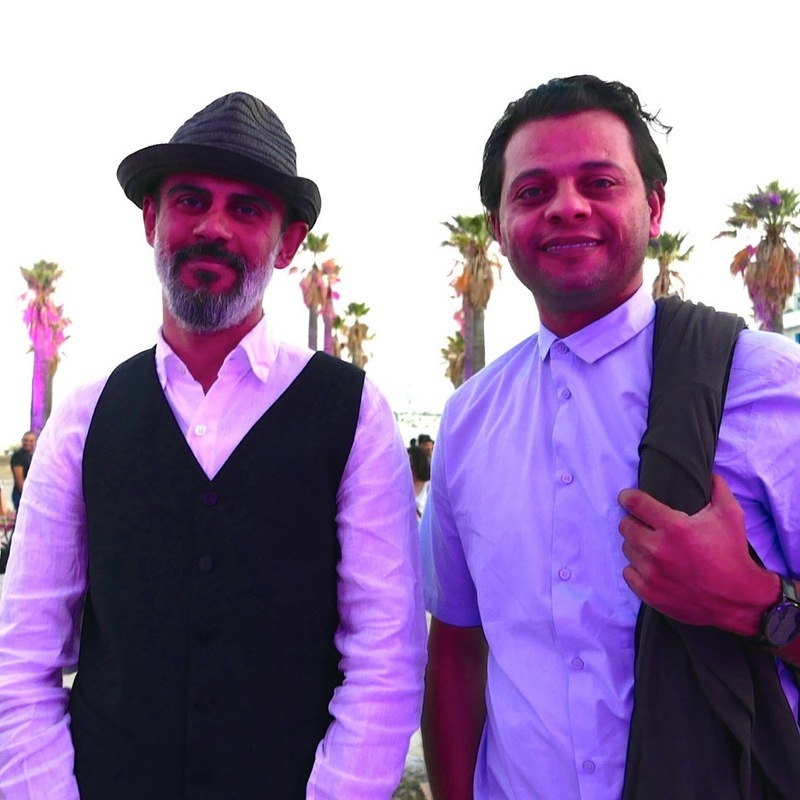 Artists Malek Gnaoui and Tarek Zaki. 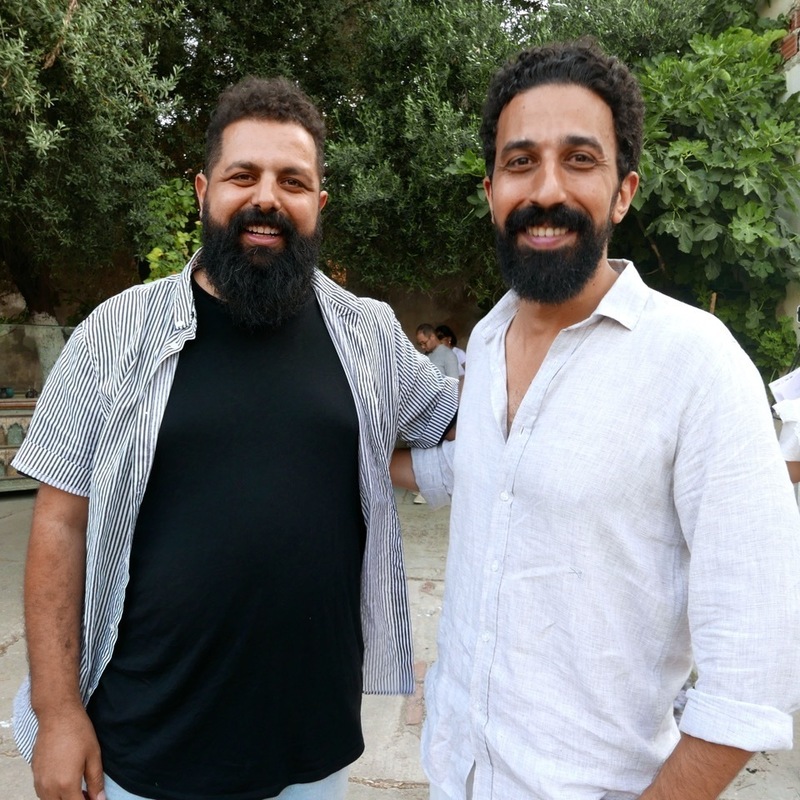 Artists Hani Zurob and Hazim Harb. 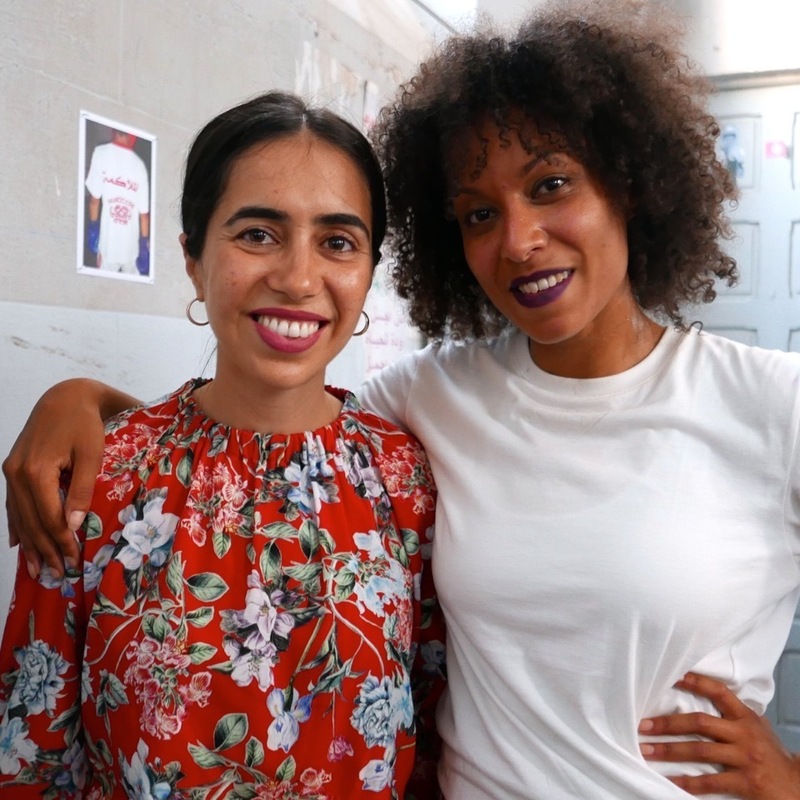 Artist Yesmine Ben Khelil with curator Aziza Harmel. 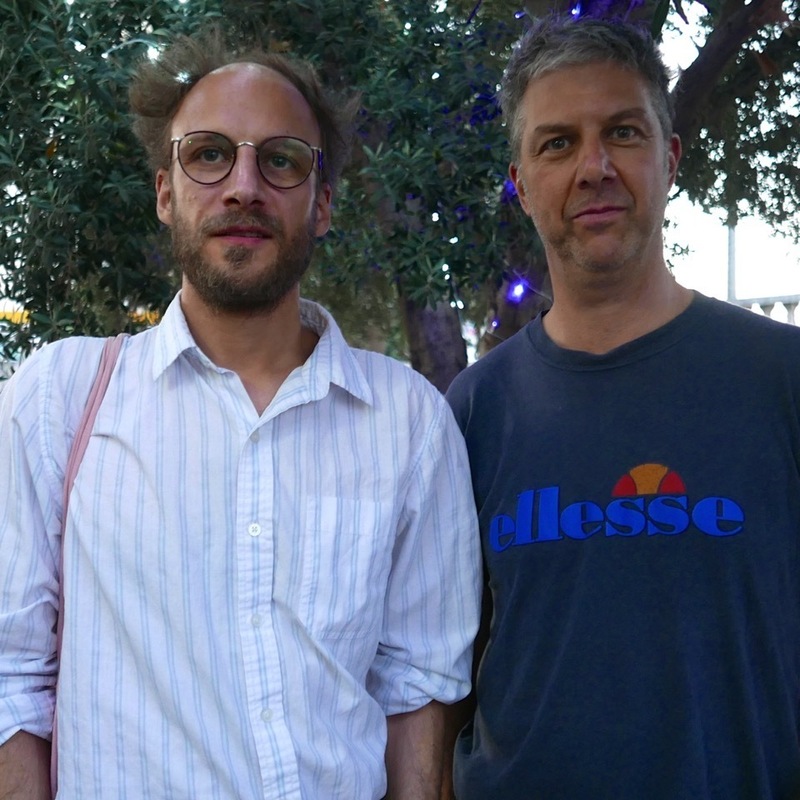 Composer Steffen Martin with artist Miguel Mitlag. 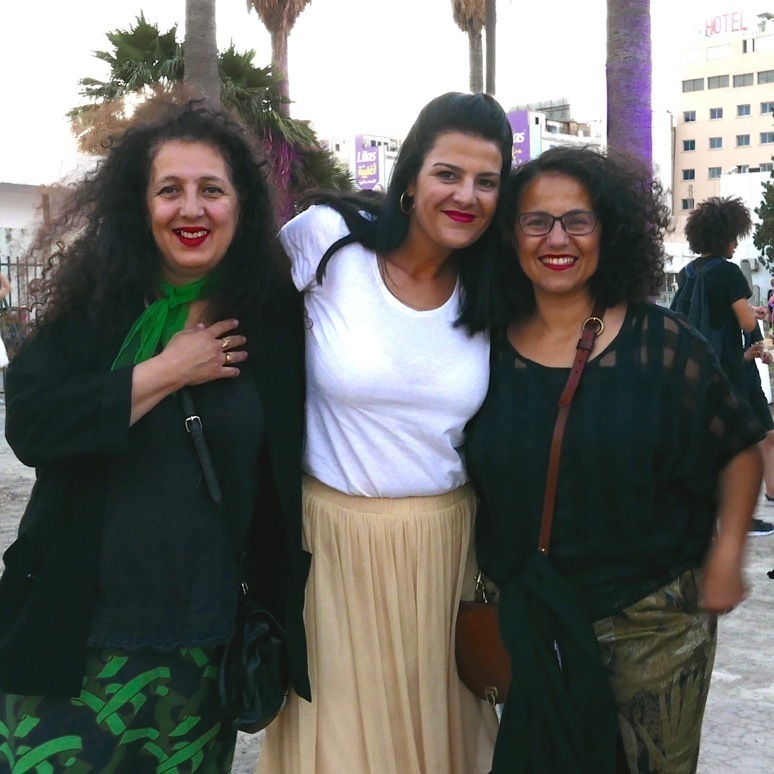 Writer and curator Wafa Gabsi with Elsa Despiney of Haya Magazine and Sabah Ennaïfar of the Kamel Lazaar Foundation. Fabiola Büchele and Khouloud Soula of the Kamel Lazaar Foundation. 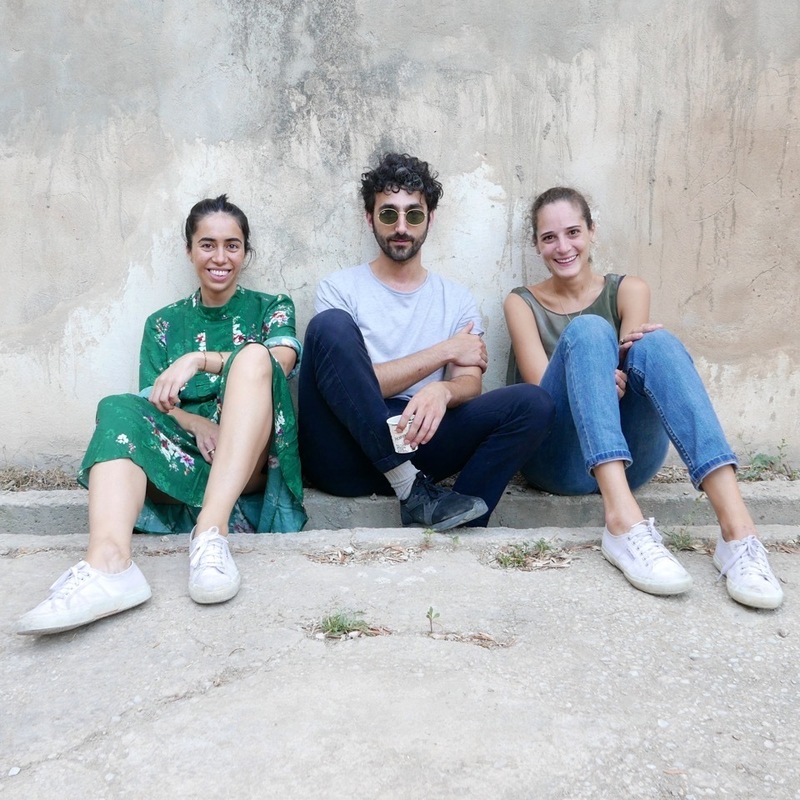 Curator Myriam Ben Salah with artists Alex Ayed and Ayla Hibri. Ayla Hibri, Untitled, 2018, analog photographs. Ligia Lewis, So Something Happened, Get Over It; No, Nothing Happened, Get With It, 2018. Performance view. 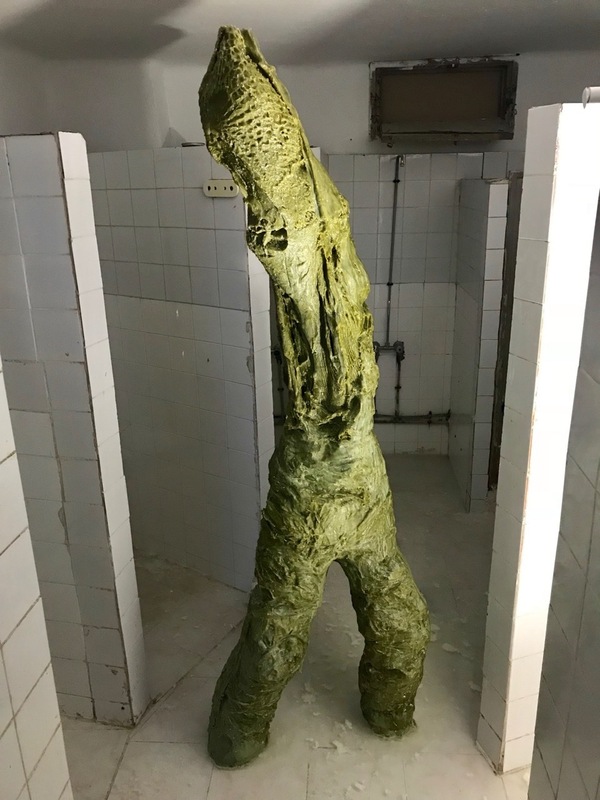 Alex Ayed, (Untitled) Kercha, 2018, olive oil soap. Installation view. Maha Malluh, Oil Candies, 2018, mixed media on compressed oil barrels. 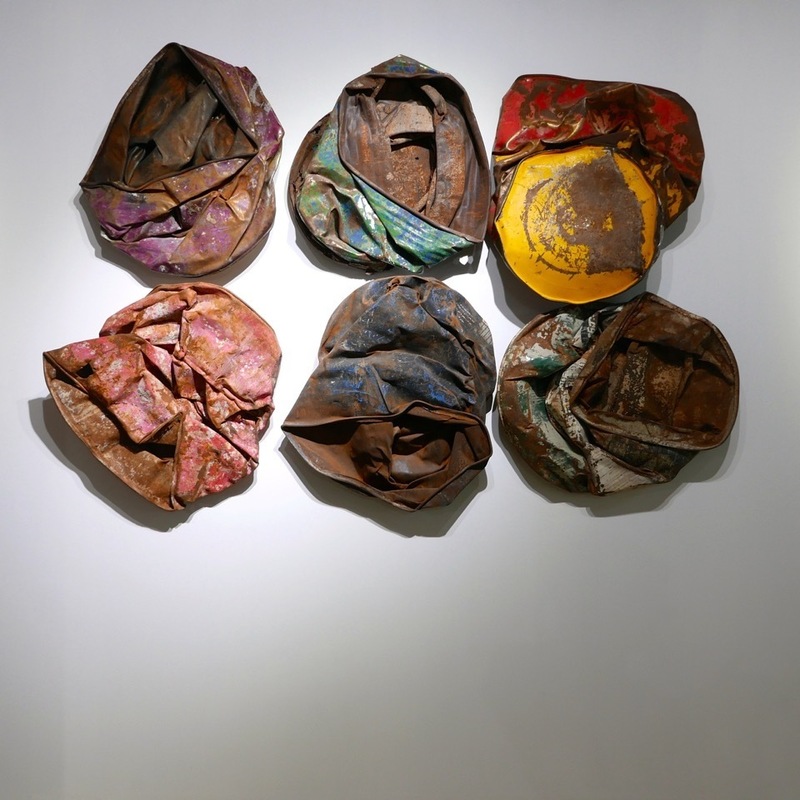 Mohssin Harraki, Reverbere, 2015, mixed media on metal and light fixture. Installation view. Haleh Redjaian, La Trace de Reverie, 2018, wood, gold leaf, nails. 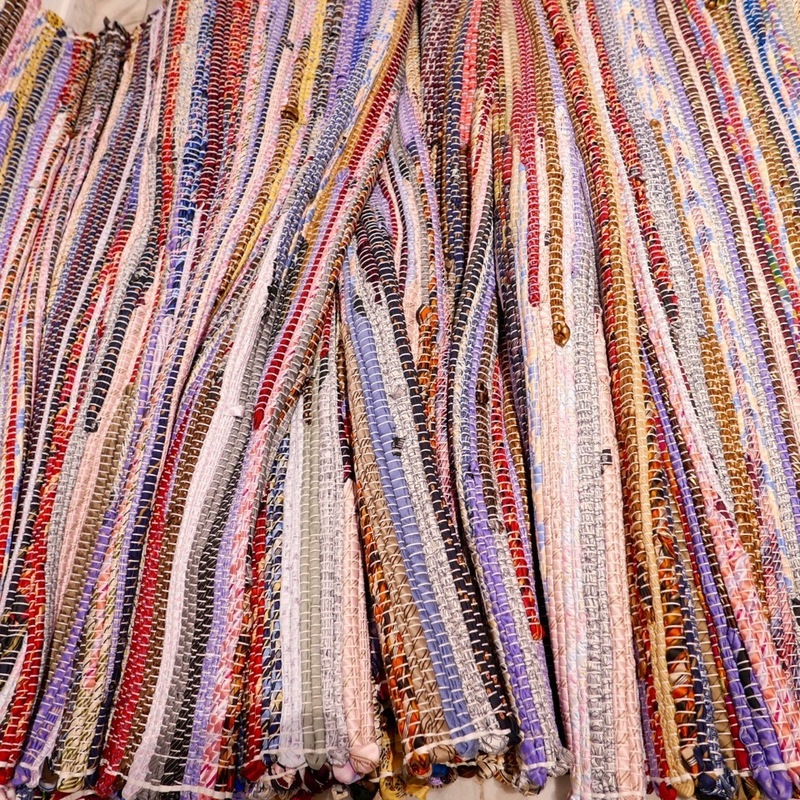 Fotini Gouseti, Kalavryta, 2012, carpet of two thousand silk ties. Kamel Moussa, Equilibre Instable, 2012, prints on fine art paper.